Hong Kong rugs, this beautiful range of rugs is a personal favourite, each design is stunning and coloured in gorgeous tones, the end result is art for your floor. This range is constantly updated to keep up with interior fashions and colours. 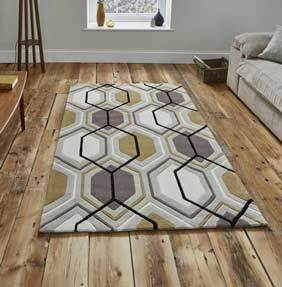 Hong Kong rugs are handmade in China, the pile is 100% soft acrylic which is hard-wearing and easy to clean, each rug is hand carved to give a textured finish.